hd00:25Working bee. Clover growing in a clearing. Bee flying over the clover. 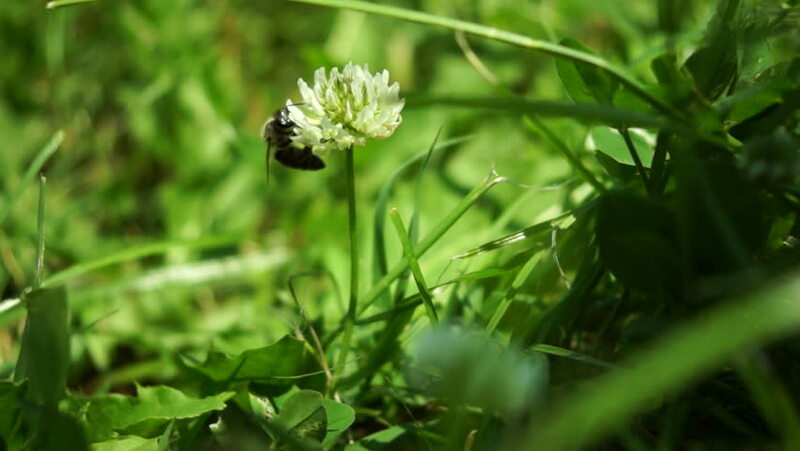 Closeup of a bee insect collecting nectar on a white clover flower in the summer sun. Honey production. Meadow grass. hd00:12White clover flower swinging in the light wind breeze. Clover growing in a clearing. Closeup of a white clover flower in the summer sun. Meadow grass. Place for text.